“Dr. 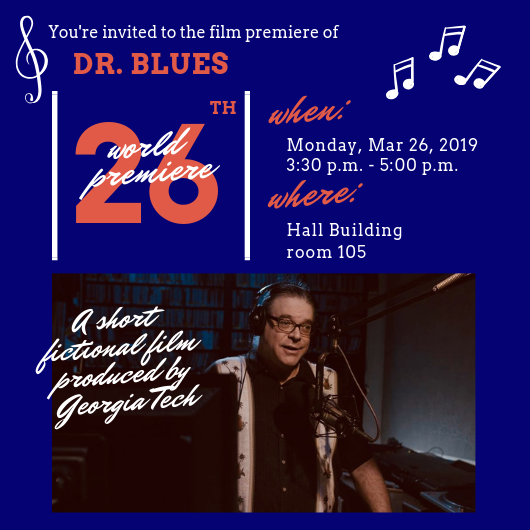 Blues” is a short fictional film set in the world of broadcast radio. Written by Prof. Philip Auslander (LMC), it was produced by Georgia Tech’s Ivan Allen College as a hybrid project involving faculty, students, staff, and professionals from the Atlanta film community. Tuesday, March 26th at 3:30pm in Hall 105. Applications for the Undergraduate Research Ambassadors are now OPEN! – (Extended) Deadline: March 29th The Undergraduate Research Ambassadors are group of dedicated undergraduate students who are committed to helping students find research opportunities, improve communication skills, and gain access to valuable resources for undergraduate research at Georgia Tech. 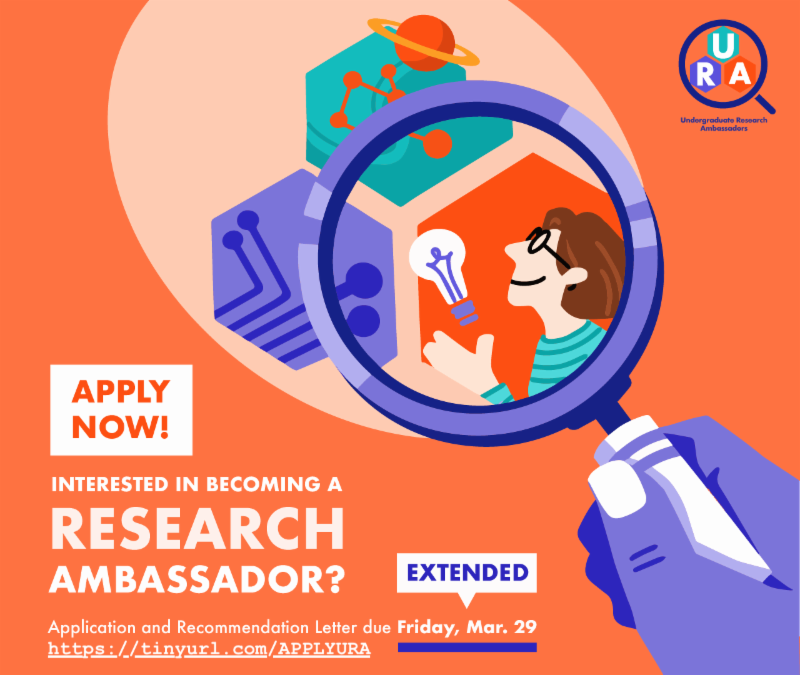 If you are passionate about research and want to help other students find opportunities and improve their research skills, apply to be a Research Ambassador! Apply HERE! Questions about Research Ambassadors? Check out our website!